OPPO Reno is expected to be launched April 10, which is rumored to come with 48 MP main camera, coupled with an ultra-wide shooter, 8 or 10 GB RAM and up to 256 GB storage. The 5G variant will have 12 GB RAM and we expect a huge 5,000 mAh battery to power the phone. 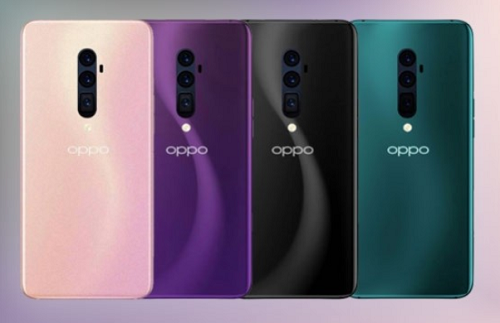 Oppo Reno smartphone series will come with five different variants — Reno Pro, Reno Plus, Reno Zoom, Reno Lite, and Reno Youth, differing in terms of specifications and performance. Previously leaked specifications of the device reveal that it’ll feature a 6.4-inch display that probably supports Full HD+ resolution. The smartphone is fitted with a 48-megapixel + 5-megapixel dual camera setup and a front-facing snapper of 16-megapixel. The device is loaded with the latest ColorOS v6.0 and it is equipped with connectivity features such as Wi-Fi 802.11ac and Bluetooth 5.0.
very nice range of devices. Dollar Rises to N270 – Have You Bought Anything online of Recent in Dollars?